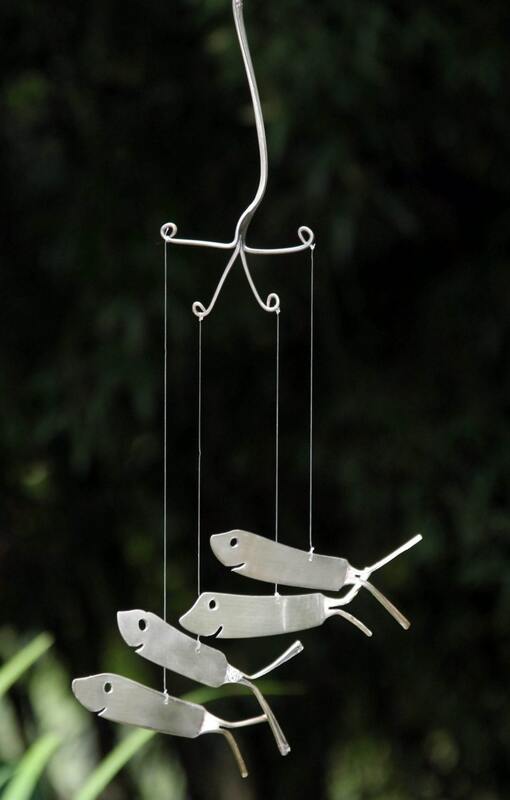 These delightful wind chimes are up cycled from antique silver plated utensils dating back as early as 1786. 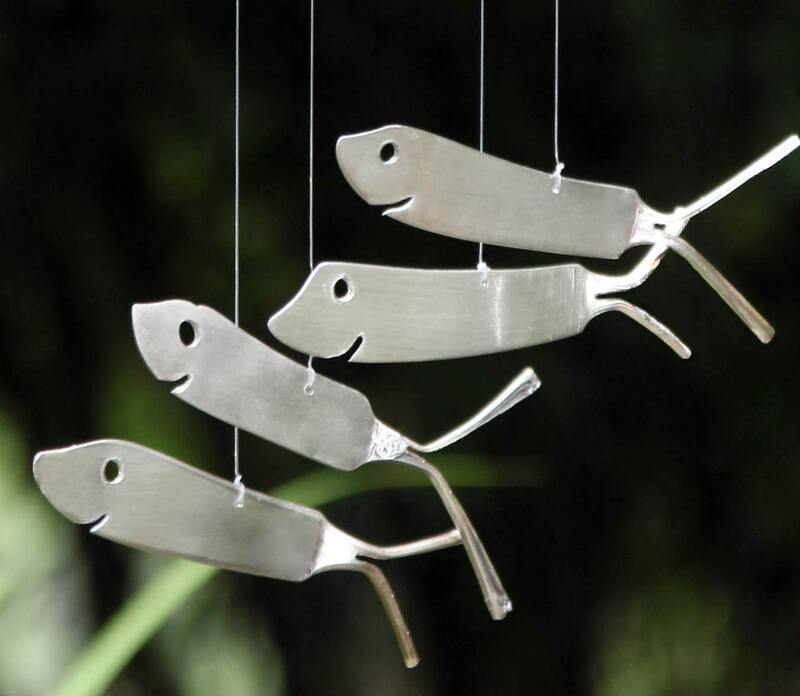 Each shark is unique and has a wonderful patina that only time could bring. Sit back, relax and listen to the gentle sounds as they whisper stories of centuries past. Each set is unique,yet just as charming as the ones pictures above. These are also available custom made from your vintage utensils, Perfect way to keep those memories alive - 1 fork & 4 spoons required, If interested please purchase this listing & convo me with tag line - custom spoon fish order - for a shipping adress - 2 week turnaround time.